Our friends at the JL Wrangler forum just received some information from an anonymous source in regards to the varying engine options for the upcoming 2018 JL Wrangler. The rumor involves six different engine options that would be utilized throughout the world markets, each with their own distinct purpose and marketing strategy. It’s important to note that this rumor involves the worldwide release, so some of these engines might not make it to the US markets. Let’s examine each engine option. Although there isn’t very much detail about the differences of the proposed Pentastar engines, one idea revolves around a slightly de-tuned version for the European Market, while the North American and Middle Eastern segments would probably be getting a slightly more powerful engine. One theory revolves around the newly released 3.6L Pentastar engine used in the 2016 Jeep Grand Cherokee. This new engine features a variety of upgrades over the previous Pentastar. Improvements such as two-stage variable valve lift, a cooled EGR, new intake manifold, new fuel injectors, new ignition coils and upgrades to the variable valve timing system. The new Pentastar engine has a MDS similar to the Hemi, in which it will shut off two cylinders while driving at highway speeds in order to achieve similar fuel economy as a four-cylinder engine, while still providing over 300hp and 268 ft-lb of torque. Earlier in the year FCA was tagged with an investigation by the U.S. Environmental Protection Agency over the possible cheating of diesel engines used in V6 Jeep and Ram vehicles between 2014 and 2016. 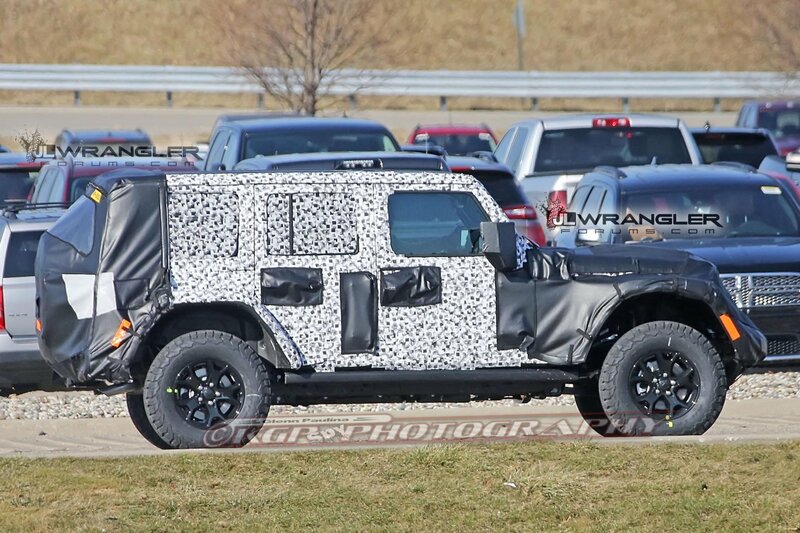 This investigation seemed to put the possibility of a diesel engine in the upcoming 2018 JL Wrangler on hold. Nonetheless, Jeep is still looking to solve the issue and proceed with the possibility of finally bringing the diesel to the North American scene. The proposed engines might be a 3.0 Liter version and possibly also a smaller 2.2 Liter option that would be used in the rest of the world market. For the 3.0L version, Jeep can possibly tap into the 3.0L VM V-6 Diesel EcoBoost engine found on the Dodge Ram. The lightweight supercharged engine is powerful and fuel-efficient, capable of producing 240hp and a massive 420lb-ft of torque. 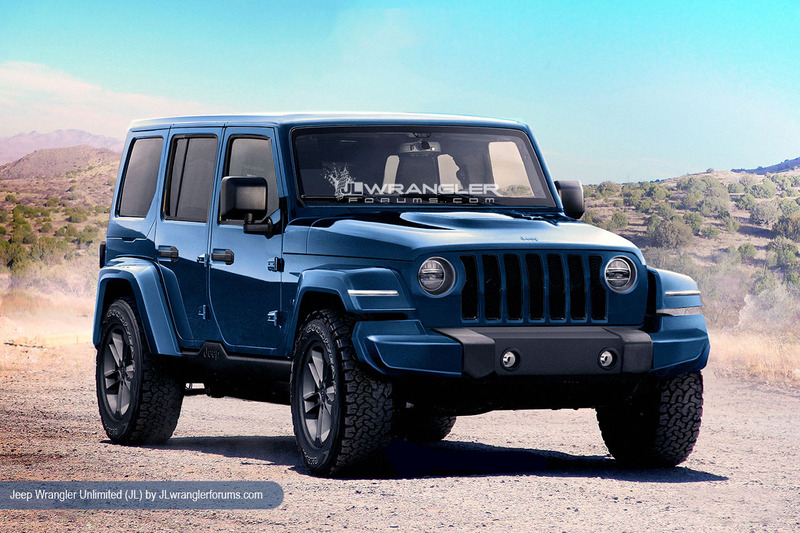 Equally important, this would finally allow the Wrangler to have a good towing capacity of around 9,200 lbs. 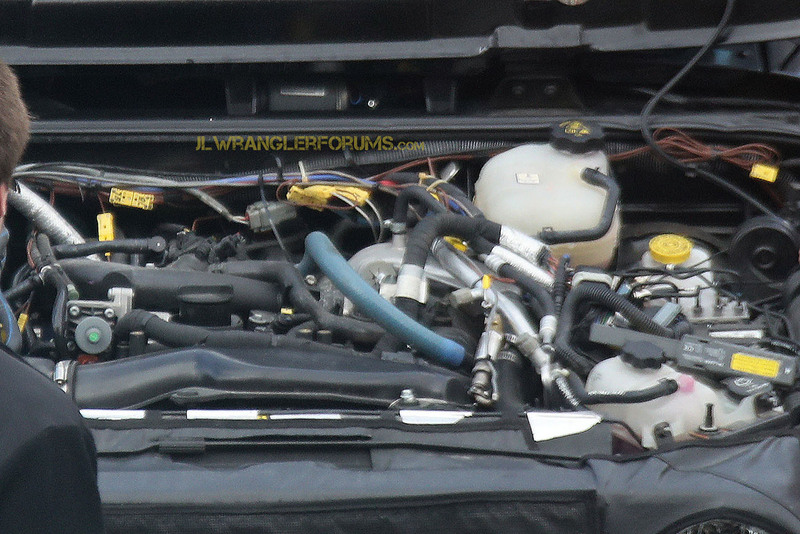 There’s no doubt that these diesel engines are among the most anticipated engine options coming to the JL Wrangler and the hope is that the FCA can work through the EPA investigation in time for the release of the upcoming JL model. With a clear initiative on fuel economy and an effort to meet strict government fuel requirements. Jeep will possibly introduce two variations of a 2.0L four-cylinder engine. Although it’s still not clear If one of the four cylinder engine options will be a naturally aspirated engine, what has become clear and more likely for the North American market, is that the other four cylinder engine will be the rumored turbocharged Hurricane engine. The proposed Hurricane engine will be heavily focused on road performance, with an estimated 300-horsepower out of a smaller and lighter engine than the V6 Pentastar. This is another important engine option for the North American market as it attempts to satisfy the need for better fuel economy in the Wrangler line-up, but also possibly provide the basis of a future electric or hybrid engine option. Although it’s still not clear which of these engine options will be classified as the standard engine option, it seems that the North American segment is about to see at least three out of these six options. This variety of engine options will help pair owners with the appropriate engine according to their needs and hopefully introduce a variety of aftermarket parts and tuners. Let us know what you think of the engine options and which you find more appealing. I am so ready for the jl,I just wish they would hurry up with the 2door rubicon instead of the 4 door first. Steel bumpers from the factory also sounds like a no brainer.I got my check book ready. Only question-what the heck is taco color?